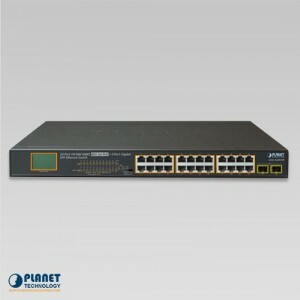 Dependable and versatile switches are the specialty of Planetechusa.com, the leader of innovative last mile technology. The switches at Planetechusa.com are great units that channel incoming data from any of the input ports to a specific output port to send data towards the correct destination. 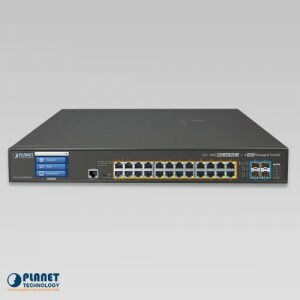 If you need a single solution, Planetechusa.com has you covered. If you are looking for dependable and versatile standard switches, POE switches, Industrial switches, or KVM switches, then there is no reason to shop anywhere else. 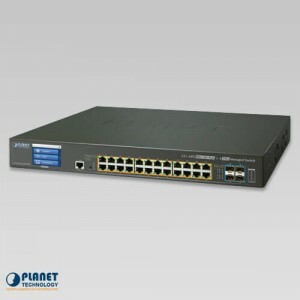 Browse through their selection of cost effective switches that will prove to be state-of-the-art equipment. 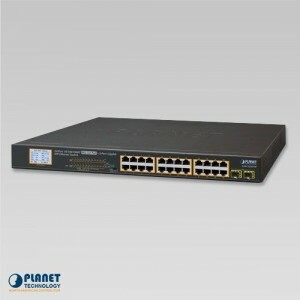 With the specialty switches for all your needs, Planetechusa.com has you covered. Their great selection of switches will give you the ability to connect multiple networking devices easier than ever. So whether you are searching for dependable standard switches, PoE switches, industrial switches, or KVM switches that get the job done, you will find the perfect network solutions here. 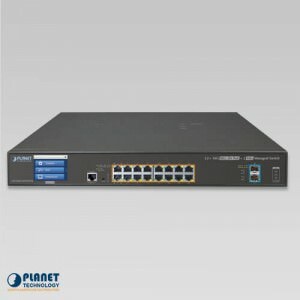 PLANET's GS-5220-16P2XV, 1.25U, Gigabit PoE+ Managed Switch with LCD Touch Screen features PLANET's intelligent PoE functions to improve the availability of critical business applications. PLANET’s GS-5220-16UP2XVR is a 1.25U, Gigabit Ultra PoE Managed Switch with a LCD Touch Screen and redundant power. 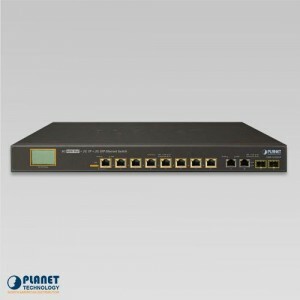 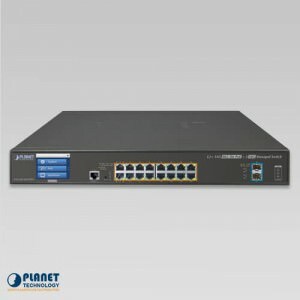 PLANET’s GS-5220-16UP2XV is a cost-optimized, 1.25U, Gigabit Ultra PoE Managed Switch with a LCD Touch Screen that features PLANET’s intelligent PoE functions to improve the availability of critical business applications. 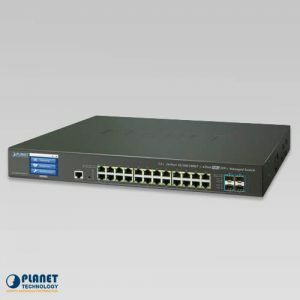 PLANET’s GS-5220-24UP4XVR is a 1.25U, Gigabit Ultra PoE Managed Switch with LCD Touch Screen featuring PLANET intelligent PoE functions to improve the availability of critical business applications. 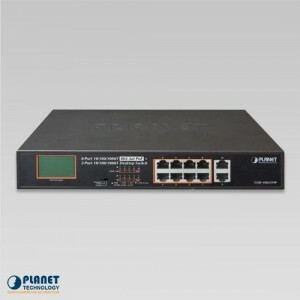 PLANET’s GSW-2620VHP is an ideal Plug and Watch Power over Ethernet solution which provides quick installation, real-time PoE work status monitoring and immediate troubleshooting through its unique LCD display. 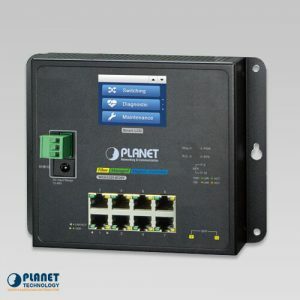 PLANET’s GSD-1002VHP is an ideal ‘Plug and Watch’ Power over Ethernet (PoE) solution that provides real-time PoE status monitoring and immediate troubleshooting through its unique LCD display. 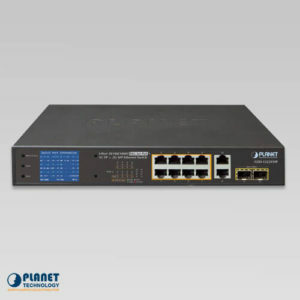 The unit can also extend Ethernet up to 250 meters when operating in “Extend” mode and achieve up to 10Mbps. PLANET’s GSW-1820VHP is an ideal Plug and Watch Power over Ethernet solution which provides quick installation, real-time PoE work status monitoring and immediate troubleshooting through its unique LCD display. 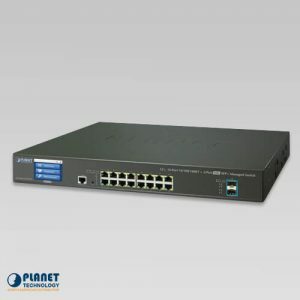 The FGSD-1022HP is a combo Desktop Switch that features 8 10/100TX 802.3at Interfaces, 2 Gigabit TP/SFP slots and an LCD PoE Display. 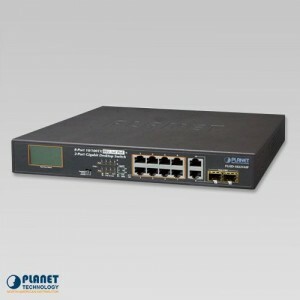 The LCD Display allows for troubleshooting without the need for a PC or software. 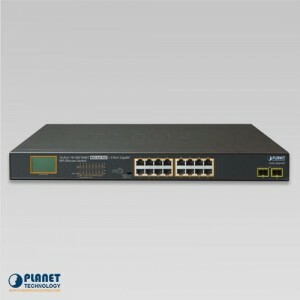 The unit can also extend Ethernet up to 200 meters when operating in “Extend” mode and achieve up to 10Mbps. PLANET’s GSW-1222VUP is an 8-port 10/100/1000T Ultra PoE + 2-port 10/100/1000T + 2-port 1000X SFP Gigabit Ethernet Switch with LCD display for PoE work status monitoring.